Mini Hockey Champ! is 1-on-1 arcade hockey built like the fun, action-packed sports games of last century. It's all the best parts of the sport, laser focused into a brilliant beam of high energy, designed to be familiar to players of all skill levels. 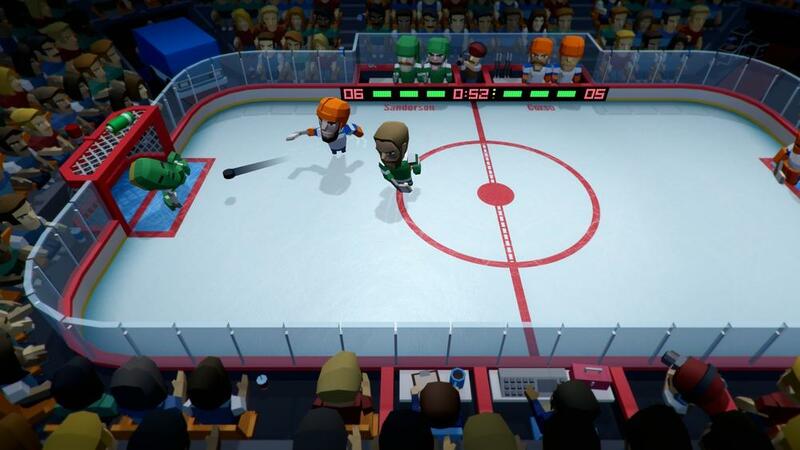 Hockey rookie or grizzled veteran, you'll quickly discover new and exciting ways to crush your opponents. Games are short and furious, perfect for passing the controllers among friends on the couch, or battling the CPU on your own. Mini Hockey Champ! features a full championship mode with playoff progression and stat tracking, so there's always something to work towards beyond the wins and losses. When you're not competing for the cup, fire up Arcade Mode and customize a match with a host of unlockable rules that modify the game in fun, wild ways!